A touching, timeless novel--perfect for fans of Lisa Graff and Lauren Wolk--about a girl who discovers that the ocean is holding secrets she never could have imagined. Twelve-year-old Summer loves the ocean. The smell, the immensity, the feeling she gets when she dives beneath the surface. She has lived in Barnes Bluff Bay since she was two years old, when Lindy found her on the beach. It's been the two of them ever since. But now, ten years later, Summer feels uncertainty about her place with Lindy and starts to wonder about where she came from. One night, Summer goes for a swim and gets caught in a riptide, swallowing mouthfuls of seawater. And that night, she dreams of a girl. A girl her age living in the same town, but not in the same time. Summer's not persuaded that this girl is real, but something about her feels familiar. Summer dreams again and again about this girl, Tink, and becomes convinced that she is connected to her past. As she sees Tink struggle with her sister growing away from her and her friends starting to pair off, Summer must come to terms with her own evolving home life and discover how the bonds that make us family can help heal the wounds of the past. 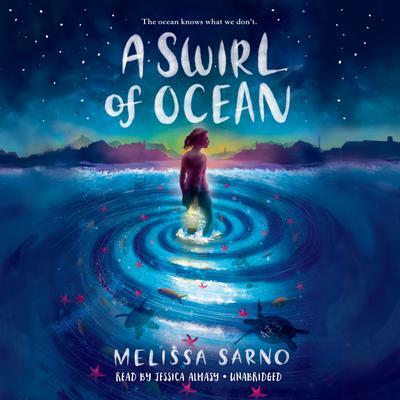 From Melissa Sarno, the author of Just Under the Clouds, comes a new story of discovery, family, and finding where you belong.